The sun has retreated from the earth, a week ago it shone its last, and now chaos has begun. People fear for their existence, and while scientists struggle to explain the phenomenon, the creatures of nightmare began to appear. Fear the Night! 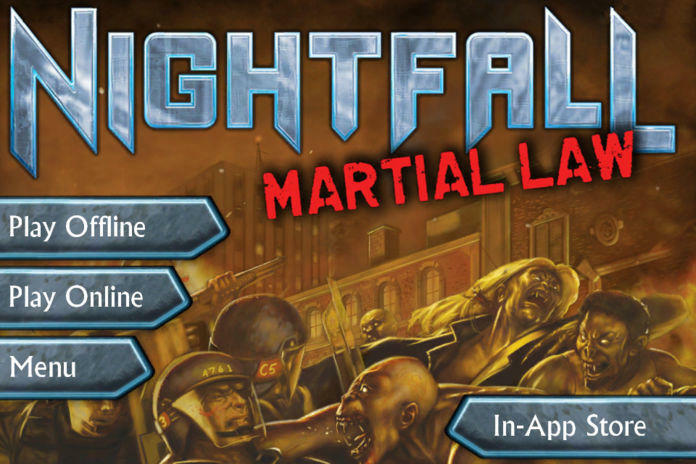 Nightfall: Martial Law introduces many new characters, actions and new color combinations for creating chains and achieving kickers. Martial Law will also introduce the new "Feed" mechanic which will allow players to get even more uses out of their orders. The game also brings to the table a new “Wound” effect that is sure to surprise opponents. 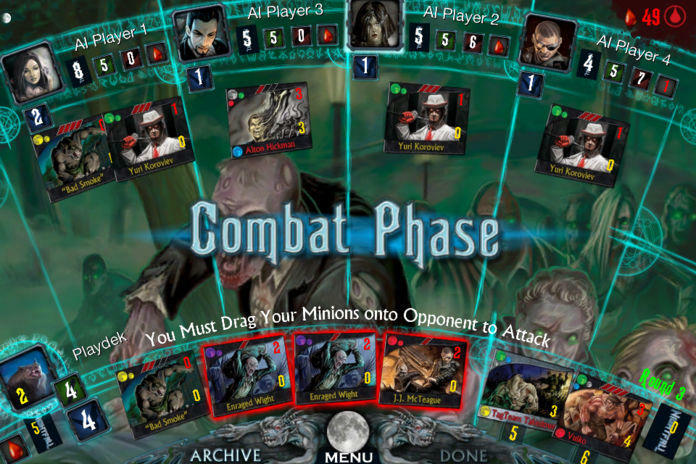 In Nightfall, players must master hordes of ghouls, vampires and werewolves as they struggle to gain control of a post-apocalyptic world. 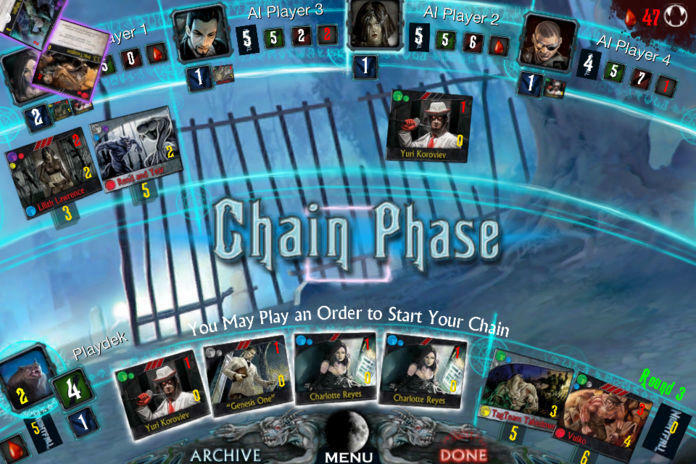 Begin with a set of starter Minions then draft cards into your private Archives, play cards into the Chain in order to maximize the effectiveness of your cards and Claim new Minions and Actions to pit against your foes. Attack your opponents every round in an effort to weaken your rivals. Time is limited and only mastering all Phases of the game will leave you standing as the victor at the end of the game. 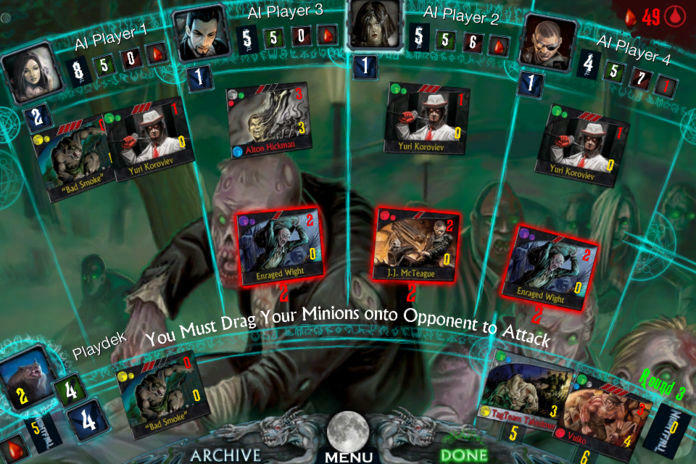 Nightfall for iOS brings AEG's modern horror game to select iPods, iPhones and iPads. 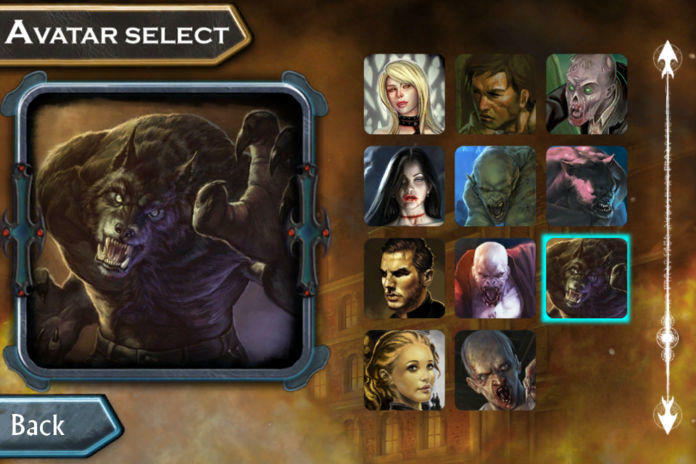 •New In-App Purchase: Martial Law expansion! All the Nightfall and Martial Law Promo cards are now freely available! Fixed an issue when viewing the online Find Game list.